He’s made it to 7 NBA Finals, winning 5 of them (part of the three-in-a-row Lakers side of 2000 – 2002). He’s a 2-time NBA Finals MVP. He is a 17-time NBA All-Star. He scored 81 points against the Toronto Raptors in 2006 – the second-highest number of points in a game in NBA history (Wilt Chamberlain’s 100-point game in March 1962). He’s a 2-time Olympic gold medallist. 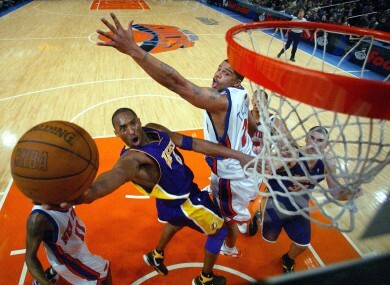 Email “Appreciate the genius of Kobe Bryant with the best plays of his career”. Feedback on “Appreciate the genius of Kobe Bryant with the best plays of his career”.